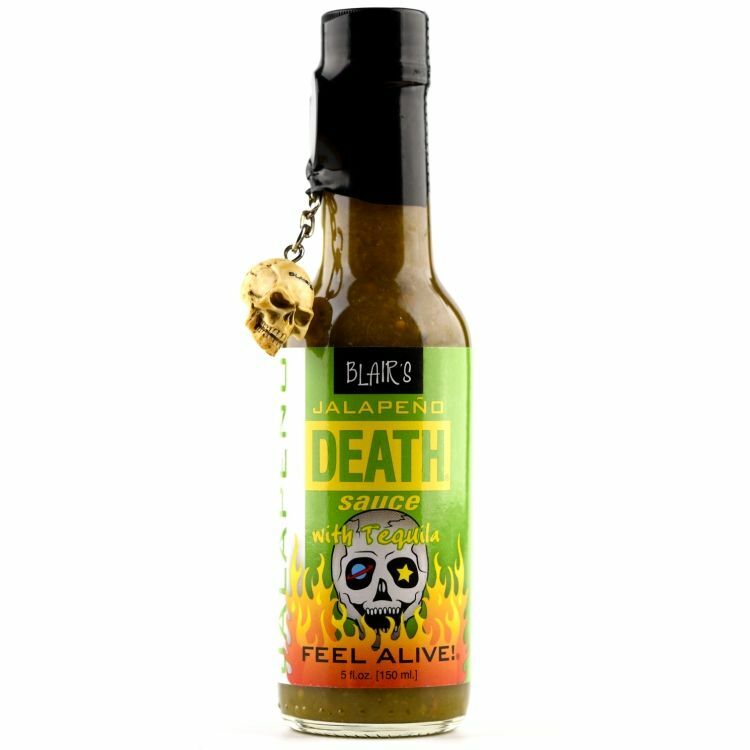 Blair's Jalapeno Tequila Death sauce is mild enough to use it in almost all of your foods, but still has a very spicy taste. Sauce is made with fresh jalopenoes, shallots, tomatoes, garlic, lime juice and everything is crowned with Blue Agava Tequila ... delicious. Ingredients: jalapeno, vinegar, tomato, garlic, lime juice, onion, olive oil, sea salt, coriander, cane sugar, tequila, spices.